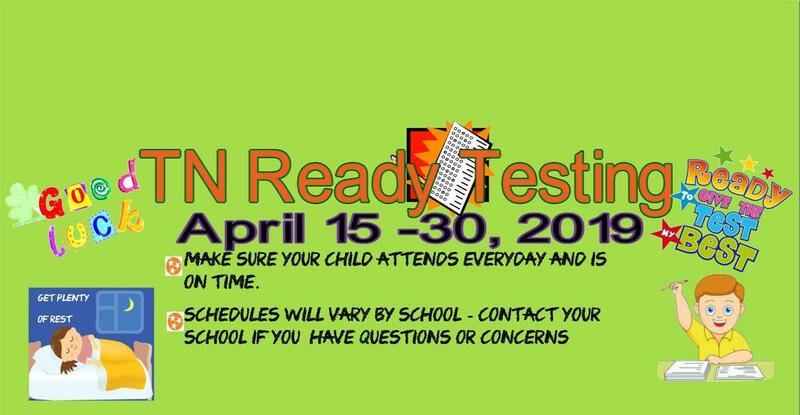 TN Ready testing will be starting Monday, April 15, 2019 and ending on April 30, 2019. Please make sure that your student(s) are in attendance each day and that they are on time. 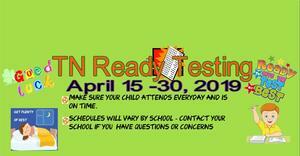 Schedules for testing will vary by school. If you have questions or concerns, please contact your school. Let's Rock this Test!